What does Aiyaz mean, details, origin, short & easy attributes? Aiyaz is baby boy name mainly popular in Muslim religion and its main origin is Arabic. Aiyaz name meanings is Generous. People search this name as Aiyaz, Aiyazuddin. Aiyaz is written in Urdu, Hindi, Arabic, Bangla as ایاز, ऐयाज, عايز, আইয়াজ. Other similar sounding names can be Aiya, Aiyla. Each letter meanings in Aiyaz Name. Popular personalities with Aiyaz Name. 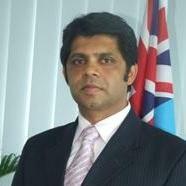 Aiyaz Sayed-Khaiyum is an Attorney General of Fiji.